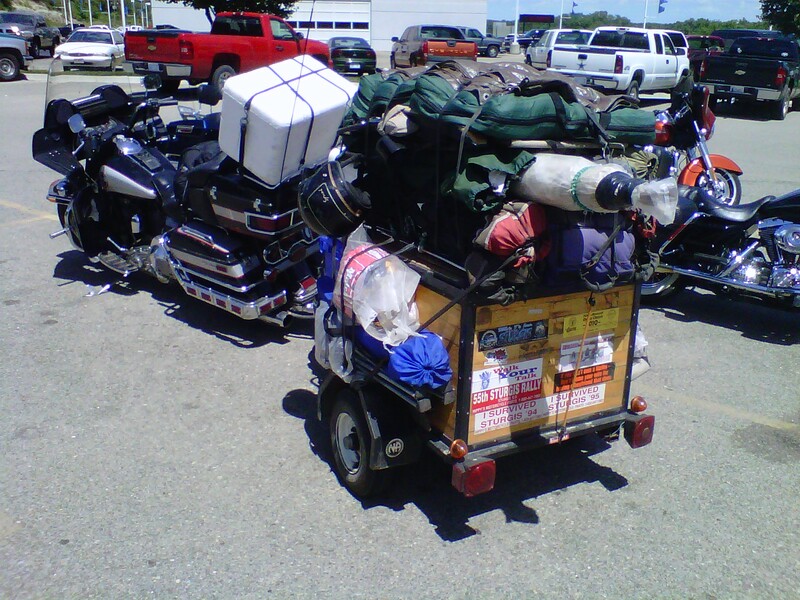 There is a reason you can only carry so much on a motorcycle. When we get on our bikes we are supposed to leave our baggage by the side of the road and put as many miles between us and all those things that pile up in the corners of our mind. We all know that riding gives us the freedom to let the weight of the world disappear (at least for a few miles), and if only for a little while we know things will be okay. So what do we do with all that stuff? If you live by the rules of the road where “you can’t take it with you,” then what do you do with it? When I’m rolling down the highway on my motorcycle, I use this time to sort through what is really important and file it away by priority. I let my mind wander and I give myself permission to think about what I want to think about. The few things I have weighing on my mind that suddenly seem less important simply fall off the back of the bike. The ride is my way of working out the kinks and clearing off my desk, otherwise, it just keeps piling up and nothing gets done. But I’m lucky as I can do this while riding to and from work. There are rides where we have a hard time leaving all of that stuff behind. We get out and twist the throttle only to come back and find our saddle bags are still full with all the frustrations and stress we started out with. Maybe the ride wasn’t long enough or we headed in the wrong direction only adding to the load that we so wanted to lose. Not for a lack of trying, but more of the wrong frame of mind. Just as one meditates or seeks therapy, results may vary depending upon your attitude. Just like taking the family on vacation, loading the car before the trip is easy – it’s when you get home and the car is a mess and you have more packed in the trunk than when you left. You forgot about the great time you just had because now it’s over and the real world is sitting in your driveway waiting for you to pull up to the house to welcome you back. Let’s be real here. You don’t have to have your bike loaded to the mirrors to feel the weight of what’s pulling you down. It can be something as small as that cell phone you carry your entire life in. Of course you should take it with you if the ride is going to be of any length, but put it on silent or turn it off. Having it vibrate in your pocket is only going to mess with your head until you pull over and check it out. It can wait. You can wait. Take the time to unpack before the ride, you will enjoy it that much more.